Blue Roof, pastel, 26"x 36"
Morning Muse, pastel, 12"x 9"
The Jetty, pastel, 12"x 9"
Suzi had been painting murals for 20 years when she found out her grandfather was a mural painter! 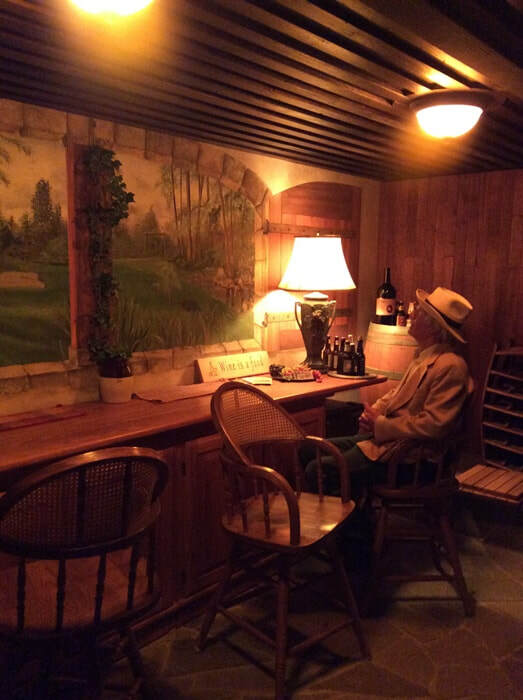 This "raison d'etre" helped propel this true survivor into her own watertower gallery in Mendocino in 2006. 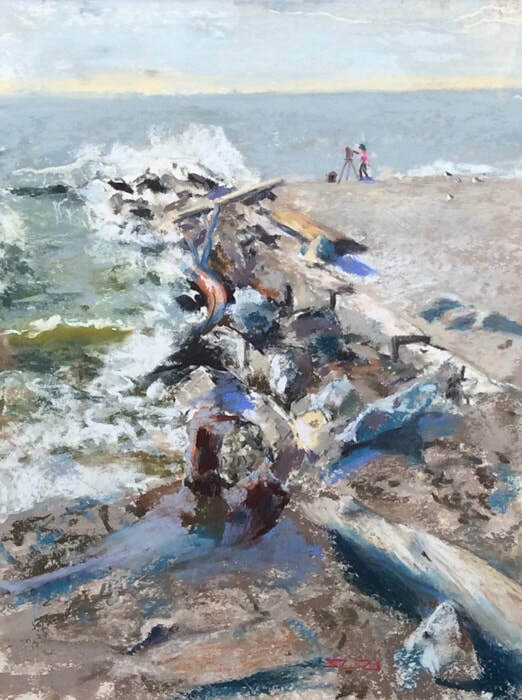 Today, this award-winning artist continues thriving in the small coastal town by selling her beautiful pastels, and competing in plein air competitions around the state. Last year she took Best of Show in Shelter Cove along with an Honorable Mention; and won People's Choice in Los Gatos in their June event. 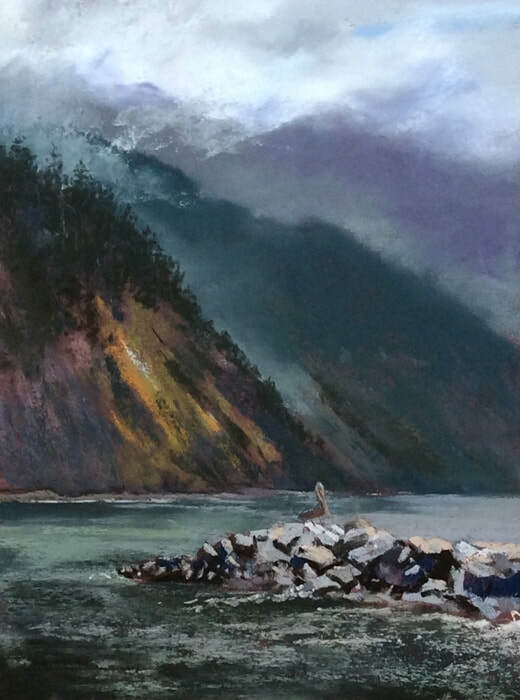 She also won Best of Show in the May Garden Show at the Mendocino Art Center and was a "celebrity" artist at the Mendocino Open Plein Air PaintOut last fall. It looks like 2017 will be another busy year, starting with a two-month solo show at the Little River Inn supporting the barn restoration at Spring Ranch for MAPA (the Mendocino Area Parks Association) and a March show during the Whale Festival supporting the Noyo Center for Marine Science with her affiliate group the Mendocino Eco Artists (MEA). Her work is also on display in a few rooms at the MacCallum House Inn on Albion Street in Mendocino, and at the Artist Co-op of Mendocino just across the street from Suzi's own watertower gallery. Born 1947 in Santa Cruz, Ca, she meandered up the coastline, finally settling in Mendocino. Much of her career days were spent painting murals in Marin and San Francisco, and gleaning some nice press from Better Homes & Gardens, SUNSET Books, and Newsweek. 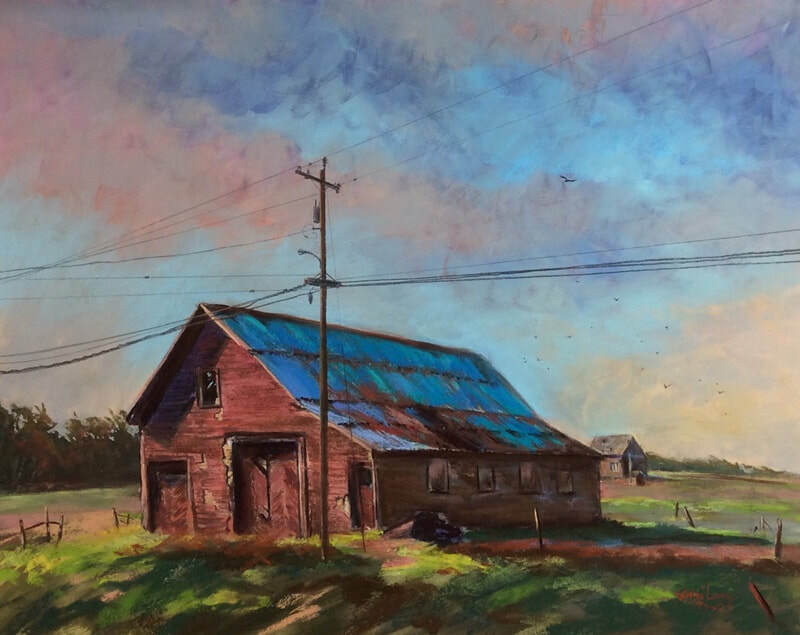 Her focus of late has been the Spring Ranch Barns, but also the lure of painting the coastline en plein air continues to call her outside. 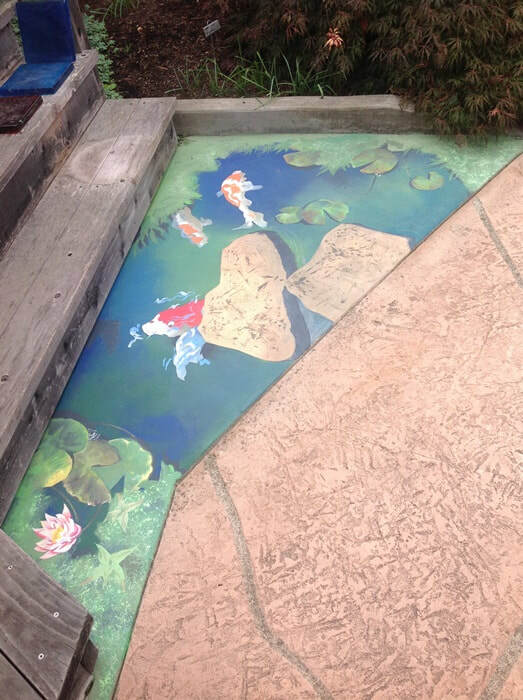 She will always take commissions for murals! 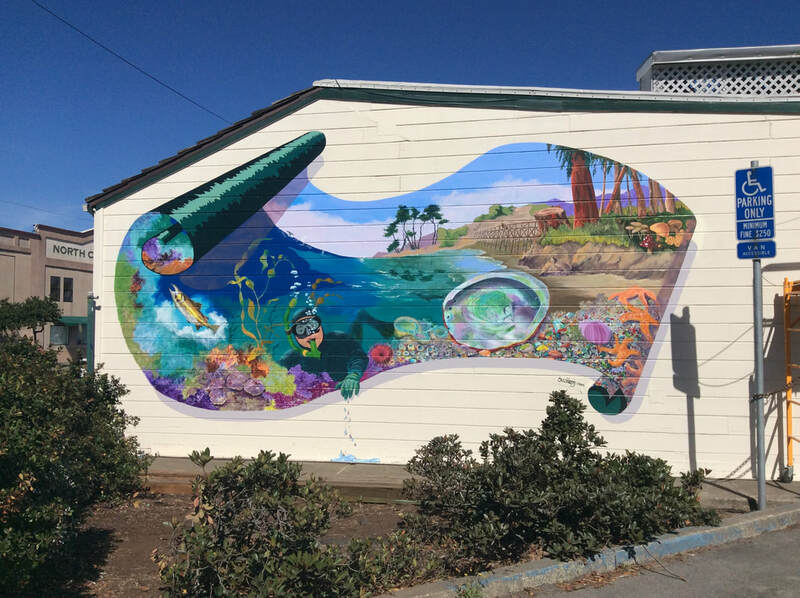 Speaking of murals, Suzi entered a contest to be one of three muralists to design and paint a mural in Fort Bragg, CA. She won one of the three slots, and has now completed her 16' mural on the south wall of the Tap Room/North Coast Brewery on Highway One, just north of main downtown Laurel Street. I offer a drop-in watercolor/pen class on demand in Mendocino, and also travel to do workshops; pastel demos on request, classes also on request.